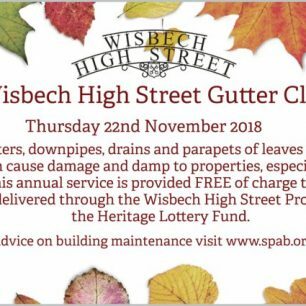 With winter almost upon us and now most of the leaves have fallen, November marks the time for the Wisbech High Street Projects’ Annual Gutter Clean. 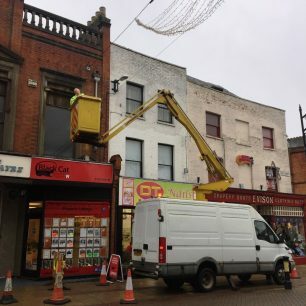 This years event was planned for 22nd November, however due to other works being undertaken on the High Street we waited until Weds 28th to carry out the work. Although we didn’t retrieve as much as the first event, we were surprised by the amount of vegetation, especially moss, which had accumulated over the year. 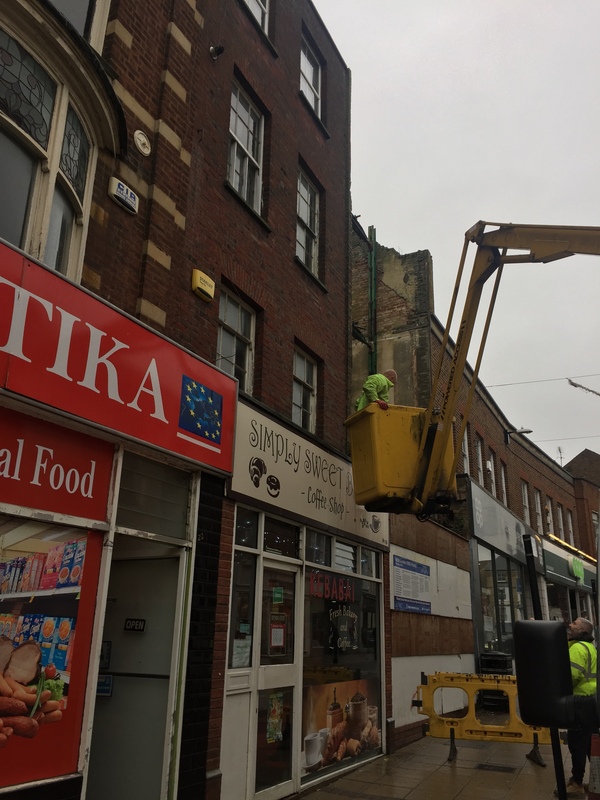 We also recovered several plastic bottles and a trainer – all of which were preventing water from draining away from some of the buildings gutters and drains. 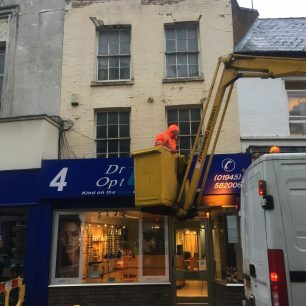 This event just proves the importance of annual maintenance and gutter cleaning for all properties. 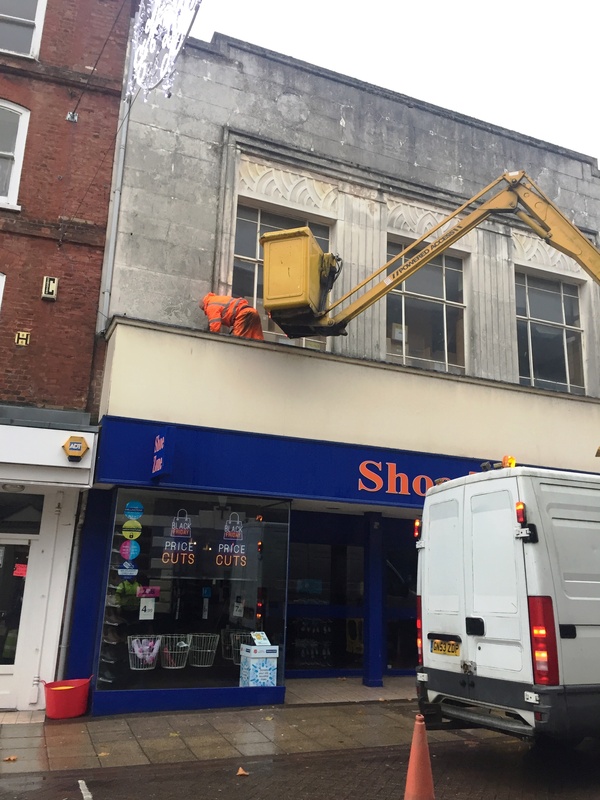 With time left over again we visited our neighbours at the Rose and Crown and were also able to advise them of a blocked drain at street level which could lead to problems if not addressed. 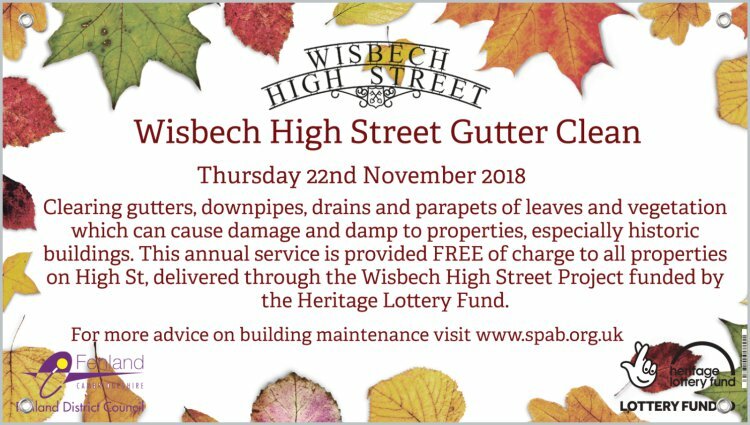 This FREE service is offered to owners and tenants of High Street properties and is entirely funded by the Heritage Lottery Fund, delivered through the Wisbech High Street Project. All they have to do is give us their consent and we arrange the rest! 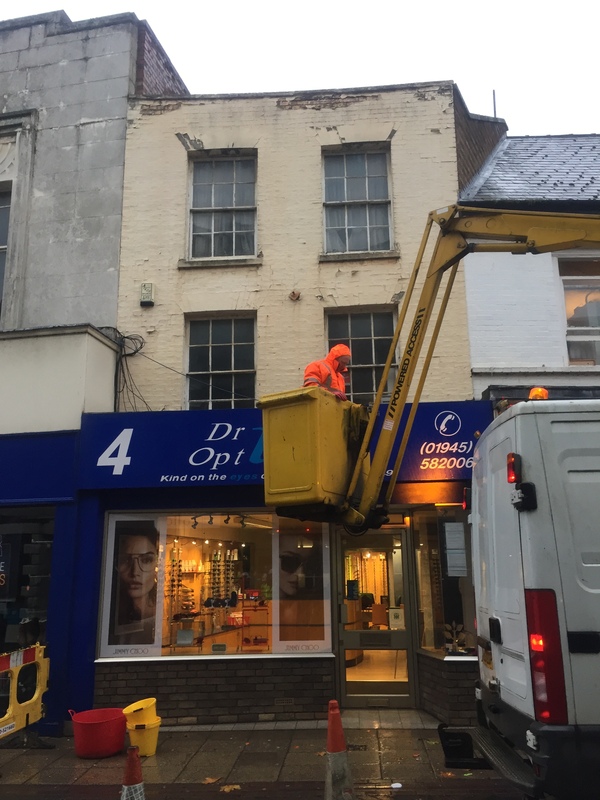 The purpose is to clean leaves from gutters, parapets and downpipes as well as removing vegetation and obstructions which cause blockages resulting in damp and damage to brickwork, especially on older properties. You can read about last years event here. 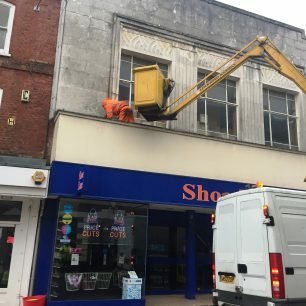 The cleaning of gutters, parapets and downpipes is one crucial aspect of maintenance to ensure that buildings are preserved and will help owners avoid long term and costly problems in the future. 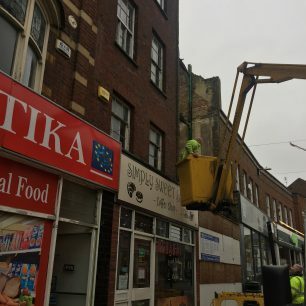 We hope that our presence on the High Street will be a reminder to other owners and tenants to carry out checks on their own homes. As with most of our Activities, we couldn’t do it without the help of volunteers who supported us again this year.